I love going on holiday as much as the next person, but boy is it expensive. We are lucky enough to be going abroad at the end of the month, but it has been almost three years since I last left the country, and Zach never has. In fact, we have just been on the one holiday as a family, when we went to Eastbourne for Easter. We just couldn't afford to go anywhere further afield, and do you know what, we still had a great time! Back in August I was contacted by Ocean Finance who wanted to set me a challenge; to go on a one day holiday for just £100. Of course I jumped at the chance and got planning straight away. 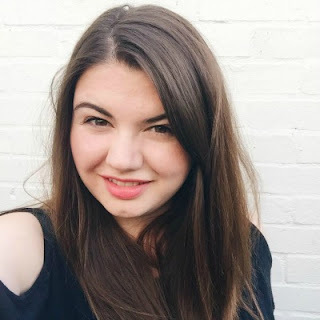 I am in my element when it comes to day trip organisation, and after spending a long time deliberating I decided on a day out in Essex with my two lovely boys. 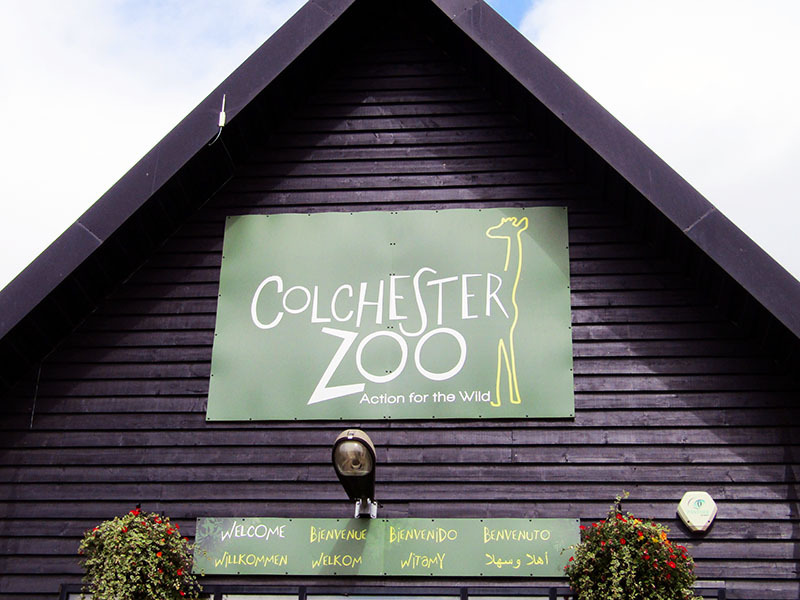 Our first port of call was Colchester Zoo. I realised we had never taken Zach to a zoo before, and thought that it would be really fun, especially now that he is starting to recognise animals. We left a little later than planned, arriving just in time for lunch. We found a bench and ate the picnic that we had brought from home before setting off to see all of the animals. Sadly we didn't end up taking that many photos at the zoo, because in all honesty, we were too busy trying to avoid toddler tantrums. Before being a parent I never understood the need for playgrounds at places like the zoo, because there is so much to see and do, but now I totally get it. We were so grateful that there was somewhere for Zach to let off steam, run around and burn off some of his energy. We spent several hours walking around, and managed to see almost all of the animals, including lemurs which are my absolute favourite. 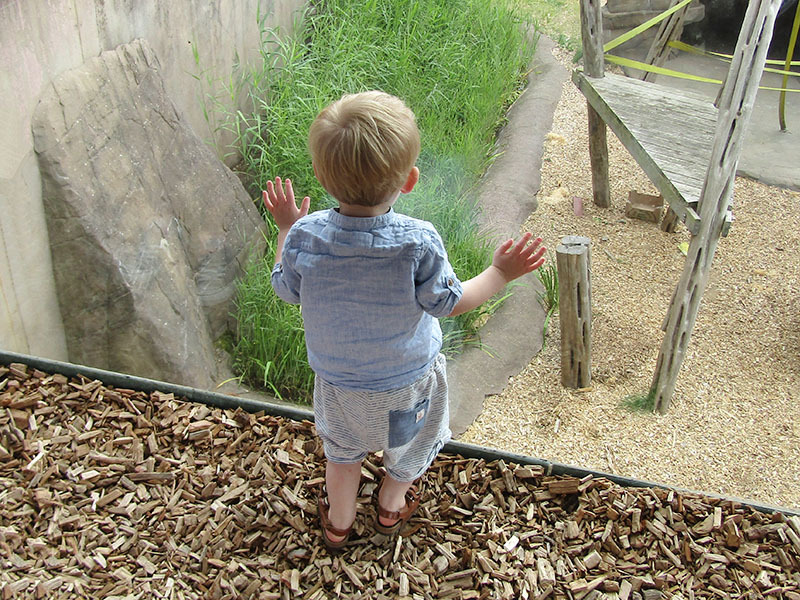 Zach was completely entranced by the penguins, and we all loved seeing the big animals - the elephants, zebras, rhinos and giraffes! Despite a certain someone being a little stroppy we had a really great time, and I think that he will enjoy it a lot more next year when he's older. 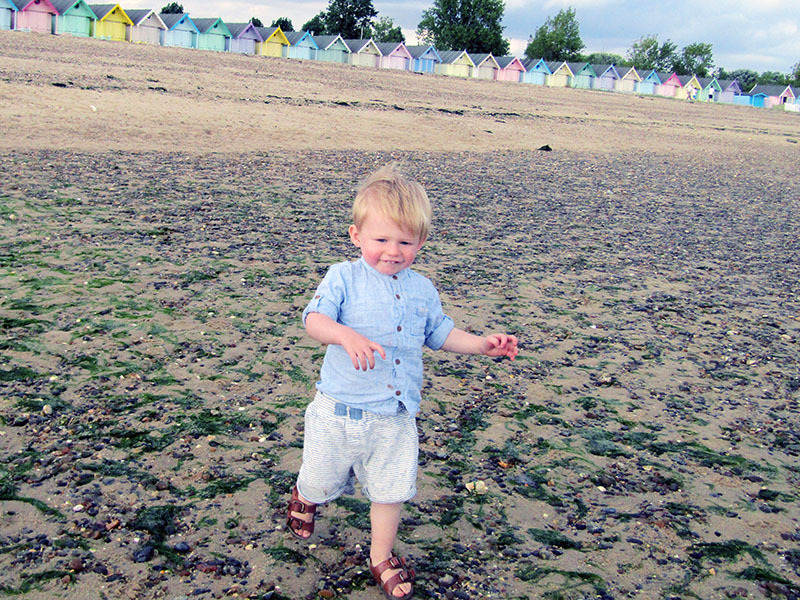 After a swift exit through the gift shop we hopped back into the car and drove to the coast, to the island of Mersea. 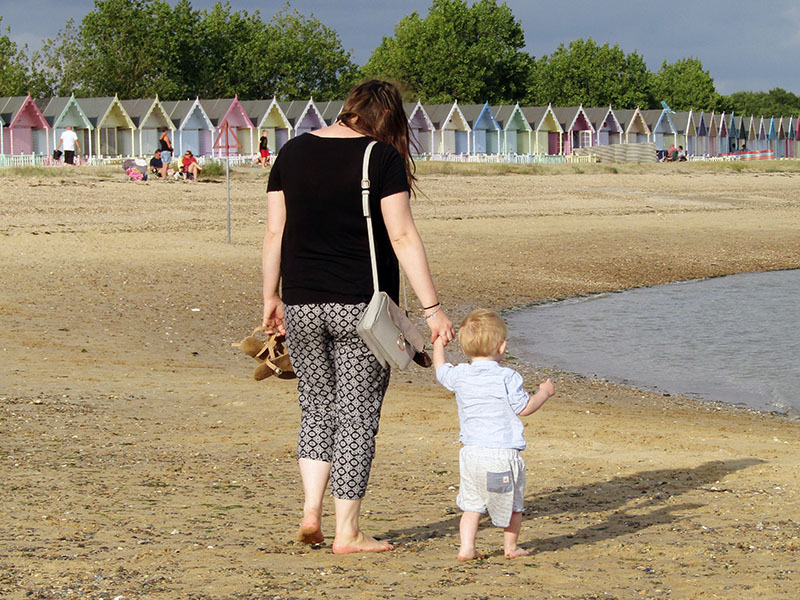 I'm sure you all know by now that I absolutely love being by the sea, and after seeing photos of the beautiful pastel beach huts on West Mersea beach I knew we had to take a trip there. After taking a couple of wrong turns we finally found them, and the photos really do not do them justice as they were soooooo pretty! We walked straight down to the sea, and paddled in the water avoiding the jelly fish who were threatening to ruin our fun! 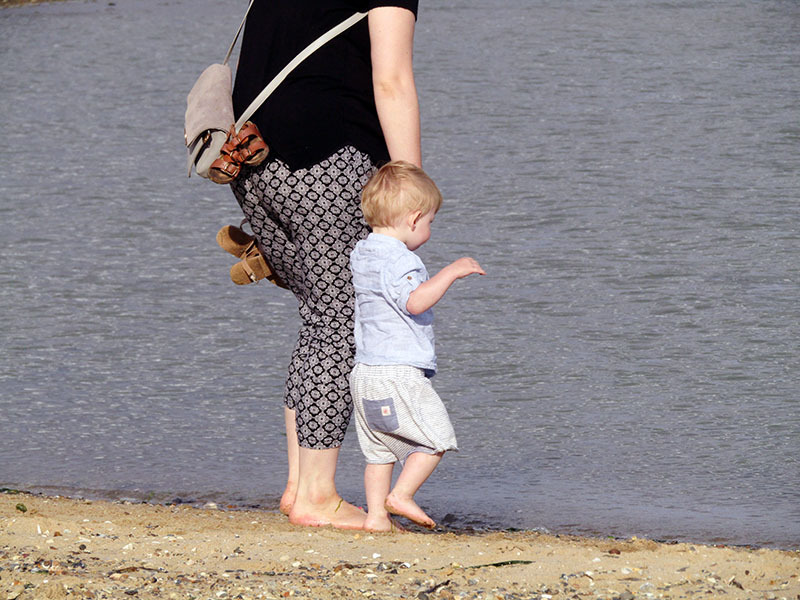 I love taking Zach to the beach because he is able to roam free and explore - meaning he tries to pick up every single pebble that he can find! 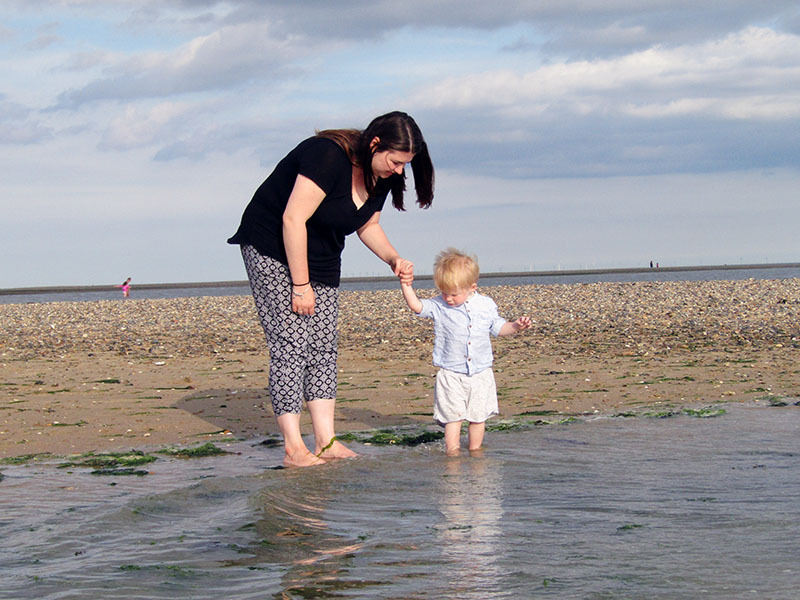 There's something about the sea air that really works wonders, and by the time we left we were feeling calm and the tantrums were almost forgotten about. 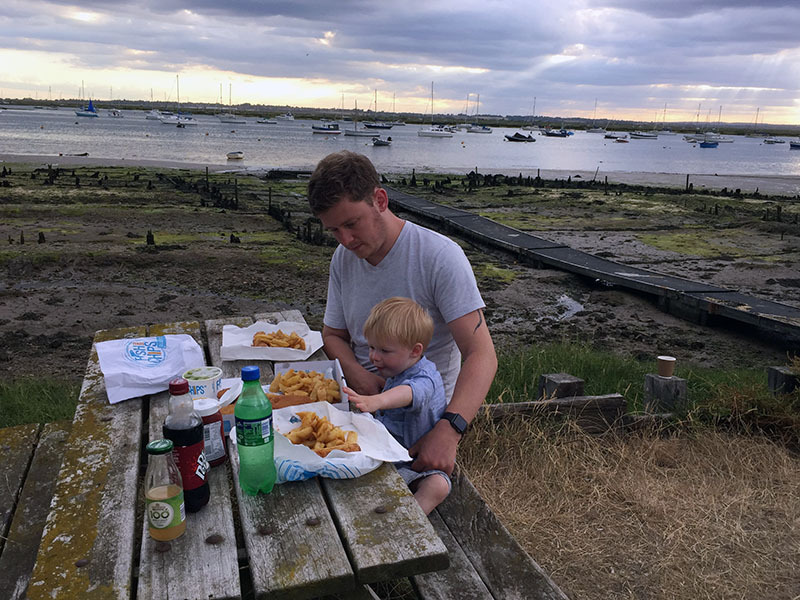 We had the perfect end to the day with a seaside classic, fish and chips! After buying enough food to feed a small army we headed out towards the marina, and found a lonely weather-beaten picnic bench with a view of the boats. The ideal spot for dinner! Once we had eaten as much as we could it was time to get back into the car and begin the drive home, shattered after a day packed full of fun. 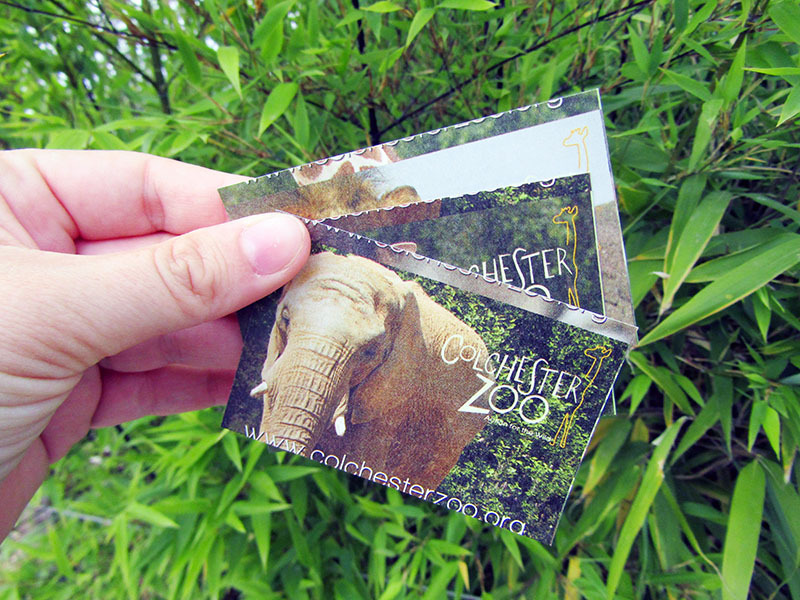 The key to our success was saving money by booking our zoo tickets online in advance, and taking a packed lunch instead of buying it there. It's little things like that which can make a big difference when it comes to the total cost of your day out. 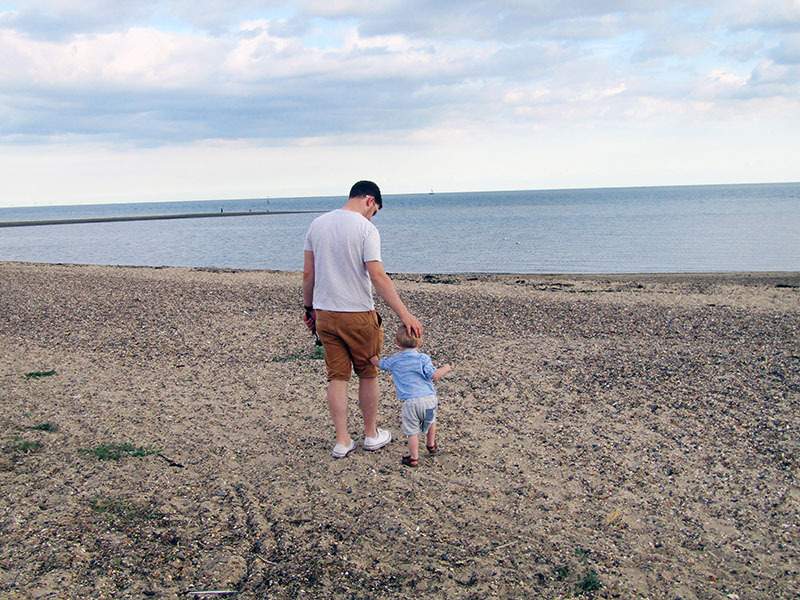 We had a really great time on our one day holiday, and it was so lovely to spend some quality time with my two boys. It just shows you don't need to go on a big holiday to have a great time. There are so many amazing places we haven't been to which are right on our doorstep, and I hope that we can explore them all! Where would you go on a one day holiday? If you enjoyed this post, please go and like our Facebook page to keep us in your timeline! Oh wow that looks like the kind of place we would love to visit. Looks like a great place..